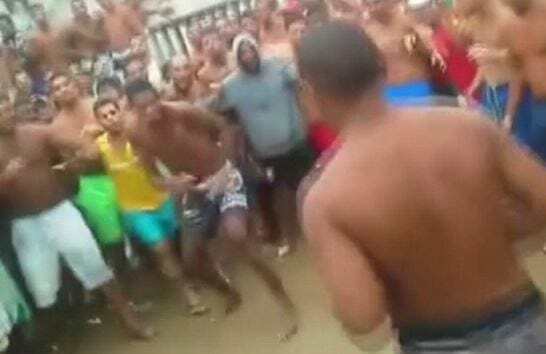 Shocking footage has been released showing the reality of overcrowded Brazilian prisons, with fighting arenas and deadly brawls that only stop ‘when the first man faints’. 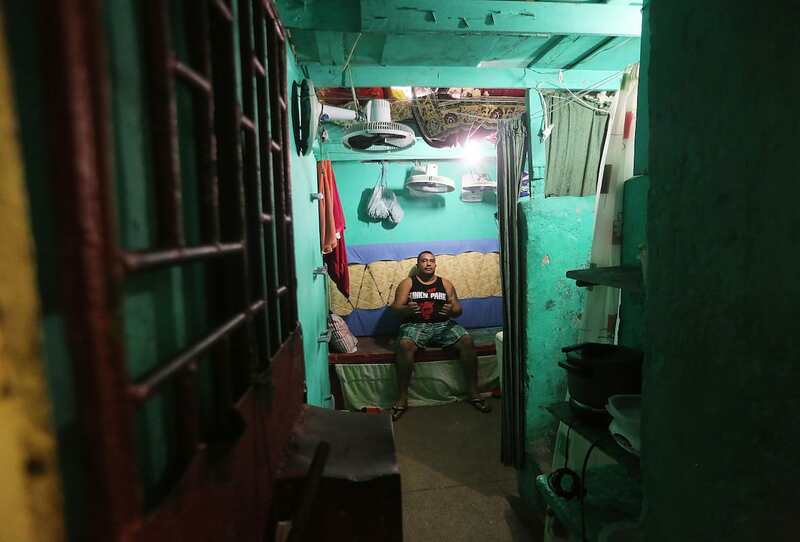 It is the latest scandal in the Brazilian prison system that has been an example of what can happen in penitentiaries that are overcrowded and under-financed. The footage was recently filmed in the Complexo do Curado Jail in the city of Recife – where fights are regularly staged. 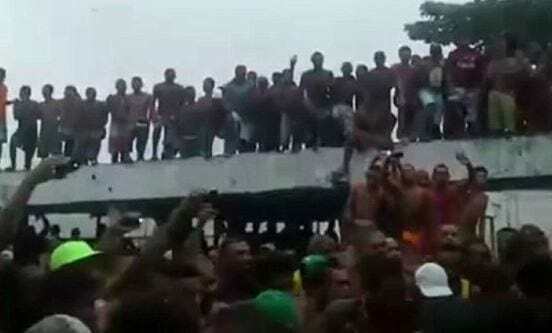 Hundreds of prisoners can be seen screaming and cheering on roofs, creating what looks more like a fight arena than a prison courtyard while two men launch themselves at one another. Anonymous statements from former prisoners collected by Brazilian media outlet Globo claim the fight only finishes when one of the men passes out. The facility, which was designed for less than 2,000 prisoners, currently holds 7,000. In January, around 40 of the detainees escaped during a mass jail break, the Daily Mail reports. Explosives were used to blow up one of the walls in the Frei Damiao de Bozzano area of the prison. Two men were killed, one was injured and 36 were captured. Brazil has one of the most crowded penitentiary systems in the world with 622,000 people jailed in 2014, making it the fourth largest prison population after the U.S., China, and Russia.